You need to know the following information for publishing your journal with EScience Press. By selecting to publish a new journal with EScience Press, editorial control, including decisions on individual articles as well as on editorial policies regarding journal scope, peer review, and quality thresholds, lies entirely in the hands of the editors. The role of EScience Press is to be a service provider, making available the underlying technology and tools such as journal development, marketing, customer services, and in-house support for editors, reviewers, and authors. EScience Press Journals are online publications, although print materials are also produced for promotional and subscription purposes. In cases where print is desired, for example where scientific societies wish to provide print editions for their members, solutions can be discussed. For instance, it may be suitable to produce an annual print edition made available for purchase on demand. To provide consistency for users and to ensure maximum efficiency, our journal websites are based on a template which offers various customization options. Authors publishing with EScience Press retain copyright and allow for their article to be distributed. This enables anyone to disseminate and reproduce the article, as long as proper attribution of authorship is given and citation details are provided. If you are an institution or a scientific society, starting a new journal or transferring an existing journal to EScience Press is entirely free of charge. EScience Press will charge a journal setup fee depending upon the business model. EScience Press has two business models for the new titles. One is author pay model where the author pays article publication fee for open access publication. The other is readership subscriptions where journal does not charge publication fee however, readers, academic institutions, and libraries are offered different levels of subscriptions to access publications. EScience Press continues to adapt to author and editor needs with the increase in article submissions has also been coupled with excellent author satisfaction and feedback. To ensure that our authors receive first-class services, EScience Press provides the editors of journals with fast, reliable, and customized online tools for all stages from submission to publication. EScience Press has dedicated marketing team offers comprehensive support to all EScience Press Journals including; targeted direct email campaigns and extensive advocacy marketing. Additionally, we have an active public relations team geared to provide newsworthy articles to the local, national and international scientific press in print or online. EScience Press customer services offer front-line support to the entire network of website users. With an average 24-hour response, customer services provide guidance to all users whether publishing or searching our open access content. Societies/ Organizations publishing with EScience Press retain copyrights of their journals. 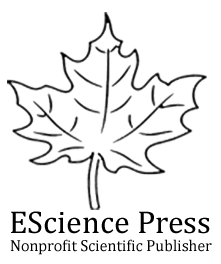 EScience Press also offers its portfolio for standalone journals. The copyrights of the EScience Press portfolio journals shall be with EScience Press. EScience Press will remain the owner of these journals and retain the copyrights of all material published in the journal.